“Marasca Sour Cherry (Prunus cerasus var. Marasca) as an Ingredient for Functional Foods” was a project co-financed by the European Union IPA IIIC Operational Programme for Regional Competitiveness 2007 - 2011. The project's beneficiary was the Faculty of Food Technology and Biotechnology, University of Zagreb, Croatia - Centre for Food Technology and Biotechnology in Zadar. The project’s idea was the production of functional products based on marasca sour cherry. The funding was obtained from the the European Union IPA IIIC Operational Programme for Regional Competitiveness 2007 - 2011 (70% of the total value of the project), and the rest (30%) was provided from national co-financing by the Croatian Ministry of Science, Education and Sport and by the Faculty of Food Technology and Biotechnology Zagreb. The project's objectives were development and application of sophisticated technologies in the production of functional products and semi-finished products based on sour cherries. End users are producers and manufacturers of marasca sour cherry. 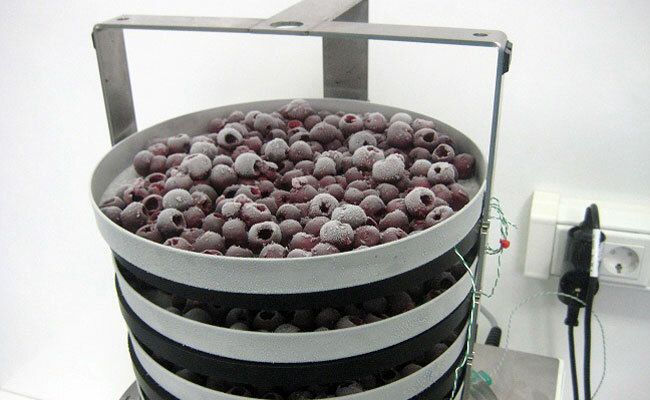 The activities foreseen by the project and consequently undertaken comprehended founding of a laboratory for monitoring of drying processes and biologically active compounds and obtaining a freeze-dried (lyophilized) sour cherry fruit, with moisture content up to 10%. The goals of the project were: - development and application of sophisticated technology in the production of functional products and semi-finished products based on sour cherries; - equipping of a laboratory in Zadar Centre for Food Technology and Biotechnology for drying processes and the determination of biologically active compounds; - instructing the local entrepreneurs and wider community about the potential and possibilities of processing sour cherries. The sensorial evaluation of the product was performed in the Laboratory for sensorial testing at the Faculty Food Technology and Biotechnology, University of Zagreb, Croatia, in accordance with the norms ISO for this kind of production process. The product - freeze-dried (lyophilized) sour cherry fruit - was marked as having an extremely aromatic sweet – sour taste, of a good solubility, dark red colour and of scent typical of cherry, and having a harmonious taste. In order to ensure the sustainability of this project, it is necessary to disseminate knowledge about the potentials of the production of high-quality food products; introduce the producers and the local community to the benefits which can be realized by marketing the functional food, ensure an efficient transfer of knowledge and technology into small and medium enterprises in the region, in cooperation with the authorized institutions influence to increase of the food industry competitiveness, motivate young researchers and engineers to improve themselves in the area of food technology, biotechnology and nutrition science in their work with the most sophisticated technologies. The project influenced the target groups and end users through seminars at which they were educated on how to use marasca sour cherry as a raw material and its biological potential, how to produce new functional products by the new technology of drying developed in the project and the machinery purchased. It also raised the networking of scientific institutions with local producers and growers of marasca sour cherry. By transfer of knowledge and technology in the pilot machinery and laboratory, end users were given an opportunity to create new export products. During the implementation of the project additional possibilities of developing the concept of functional food based on marasca sour cherry, other fruit and other plant species, were created. Conditions were also created for the cooperation between the Faculty Food Technology and Biotechnology, University of Zagreb, Centre for Food Technology and Biotechnology in Zadar and the local agricultural sector, fruit, vegetables, Mediterranean cultures’ manufacturers and the food industry on the local and national level. A certain number of food companies from Croatia expressed interest in this technology of production. The result of the production process in lyophilizator was a sour cherry juice powder produced by spray-drying, with a high concentration of preserved BAS (anthocyanins, flavonols, phenolic acids, melatonin, etc. ), high antioxidant activity and good sensory properties. An efficient interconnection and cooperation between local growers and producers of fruit, vegetables, Mediterranean cultures, food industry and research institutions was established, with the ultimate aim of increasing the competitiveness of products based on sour cherries. 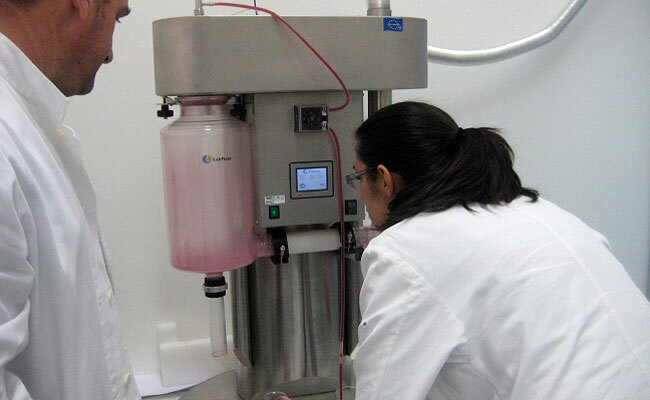 The factor of success was that the project was based on "in vivo" scientific research and clinical studies, which tested changes of biologically active and other compounds during maturing, stability of biologically active compounds during processing into a concentrate and jelly products, anti-oxidative activity of fruits and processed products of marasca sour cherry, which all lead to an idea of functional products based on marasca sour cherry. By investing into science and innovation, sophsticated technologies in production of functional products and semi-products based on marasca sour cherry were developed and implemented. In the laboratory for drying processes dryed marasca cherry was produced and the powder of its juice, which will be used in production of functional food - food which preserves all its nutritional benefits.It raised interest in the local economy and at the national level.